On Sunday, October 7, 2018, the State APA Conference will present its annual Diversity Summit on the topic of Transportation Justice. You are invited to attend! Not all communities have the same access to healthy and safe transportation options. Racial segregation and redlining is apparent in the built environment. Low-income communities of color disproportionately suffer from asthma triggered by pollution from freeways and are most impacted by vehicle collisions. 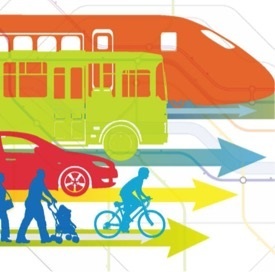 What does a just and equitable transportation system look like? Improvements in transportation infrastructure must be prioritized for the people that need them most, be tied to improved public health and safety outcomes, and not lead to displacement. The Diversity Summit panel will discuss the impacts of transportation policy and planning on low-income communities of color, help define what transportation justice is and why it matters, and what the planning community can do to positively impact transportation. · Randy Van Vleck, Transportation and Planning Program Manager at City Heights Community Development Corporation. · Marcus Bush, Policy Advisor to City of San Diego Councilmember Georgette Gómez will moderate the speaker panel. APA Diversity Mixer: On Tuesday evening of the APA Conference will be a Diversity Mixer from 6:30 to 8:30pm at the Sheraton’s Harbor & Vine. All are welcome to the APA Diversity Mixer to build our planner community of diverse backgrounds. Come network, make friends, and help create a diverse space at the Sheraton- Harbor & Vine from 6:30pm to 8:30pm. CLICK HERE to sign up now to receive news and updates from SDAPA!